I scream, you scream, we all scream for ice cream! 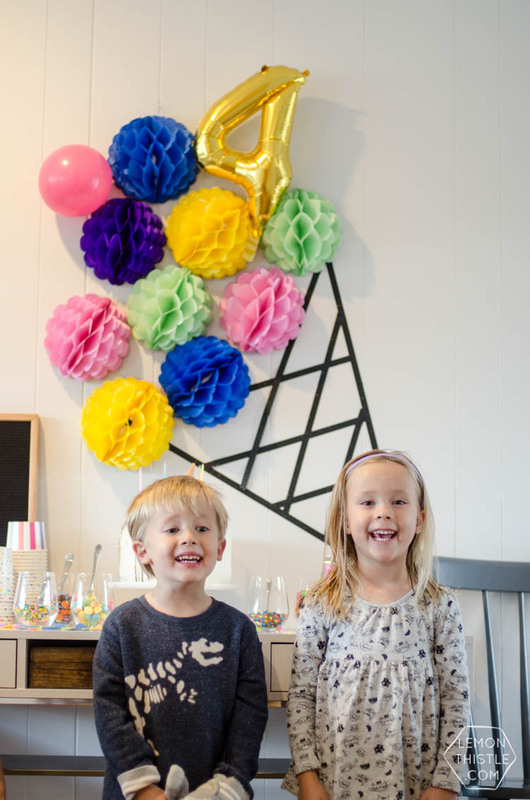 When we asked our twins what they wanted for their birthday party this year… the answer was without hesitation- ICE CREAM! 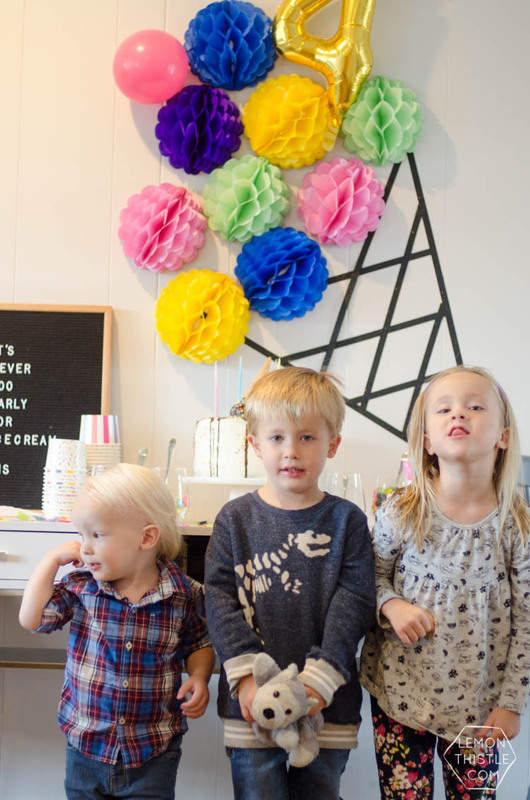 We had hosted a mini ice cream party at their request in the summertime for their cousins and they were convinced it’s the best thing ever. 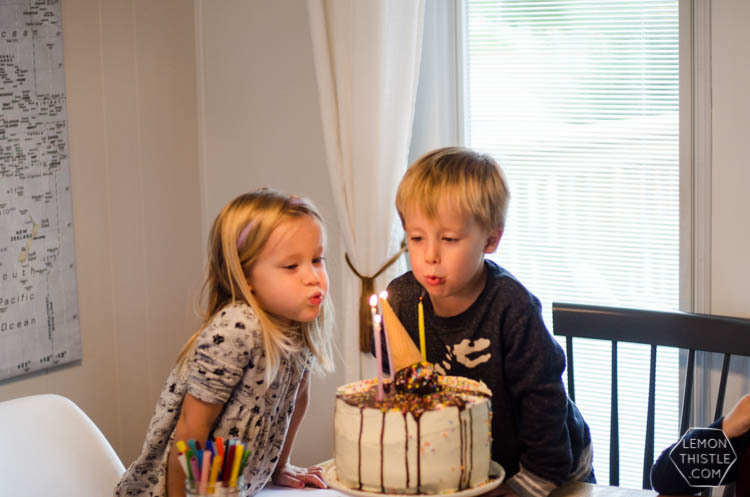 They insisted that there also be cake for their birthday, though (of course). I can’t say I wasn’t excited about this. It was SO much fun to put on. 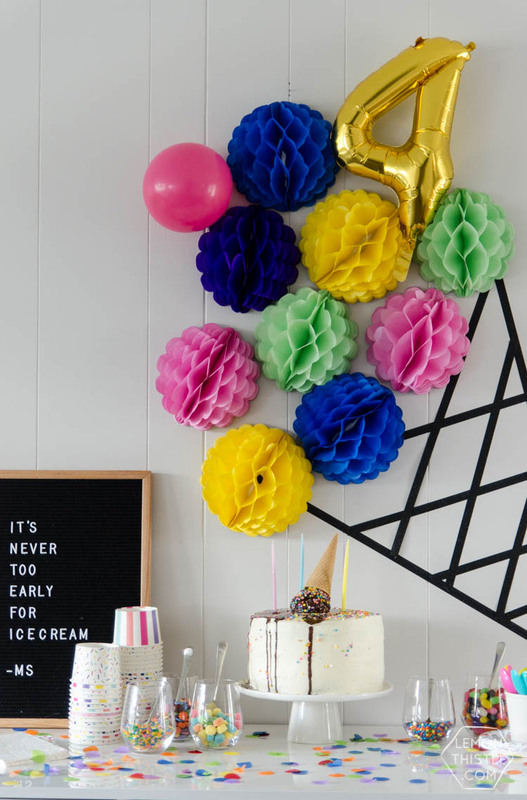 Because I can’t help myself, I took the ‘ice cream party’ theme and gave it a modern twist. Black and white as the staple with pops of colour. It was really easy to pull off by concentrating on two areas and leaving the rest of the house for the kids to run around and play. 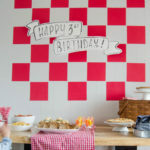 I remember I used to try decorate every corner of a room that a party was happening in. Guests would be there! How could I not! I’d have little signs and flowers and whatever else on every end table and door and it was such a production. 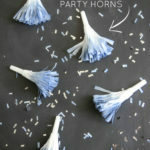 Now parties are way easier (and less time consuming!) to throw and the impact of one beautiful vignette or table is so much more than a little bit everywhere. 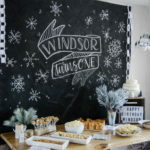 For this party, that meant a dessert table and our dining table for activities. We did have some healthy snacks too- we just set those out on the island in the kitchen. 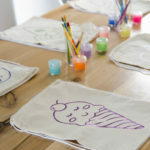 I’m actually going to write a whole other post about the activity (and goodie bags!) but thought I’d share it here too. 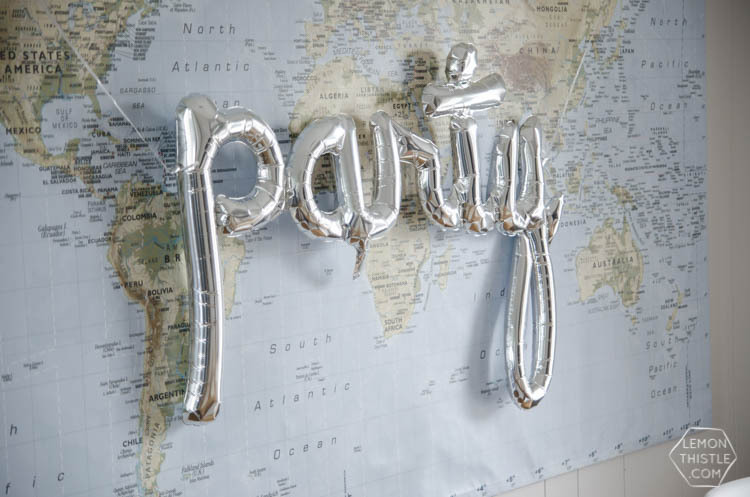 We just grabbed that party balloon for over the map at Target and the lightbox we already had in our home. 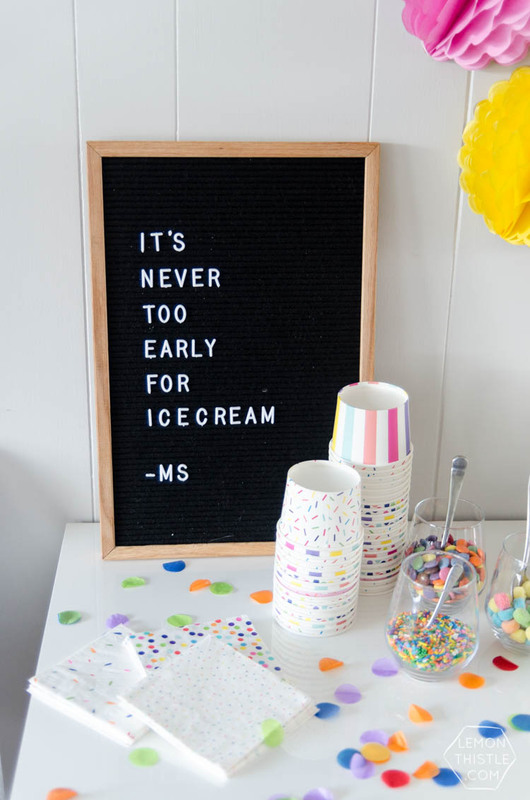 Lightboxes and letterboards are so perfect for party decorations- they work for pretty much every occasion, from weddings to four year old ice cream parties. Also… I just love them. After the activity (those goodie bags), I had colouring with the same designs for the kids. 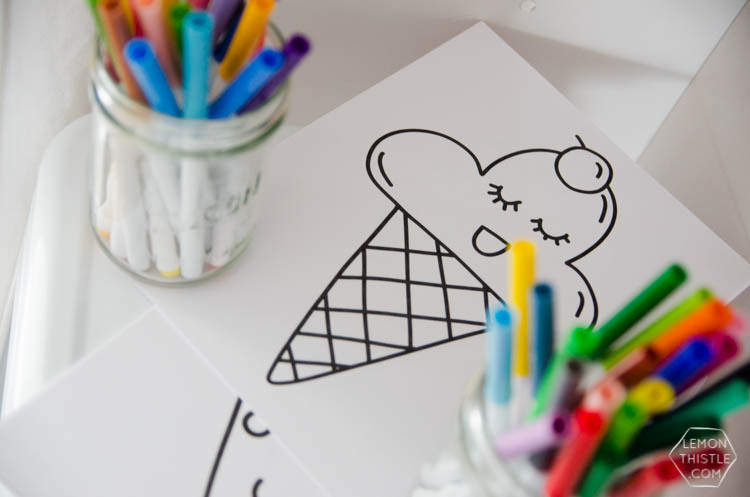 I illustrated these 8 ice cream characters and made them into PDF colouring sheets. 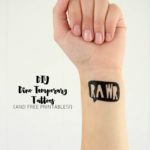 You can feel free to use my designs for your next party (personal use only, not for resale) if you like! 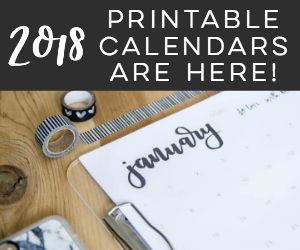 Just CLICK HERE TO DOWNLOAD THEM. Speaking of total wins… we kind of lucked out with the Target Dollar Spot for this party. When I was down in the summer I found these ice cream cups, straws, plates and napkins. Aren’t they perfect?! 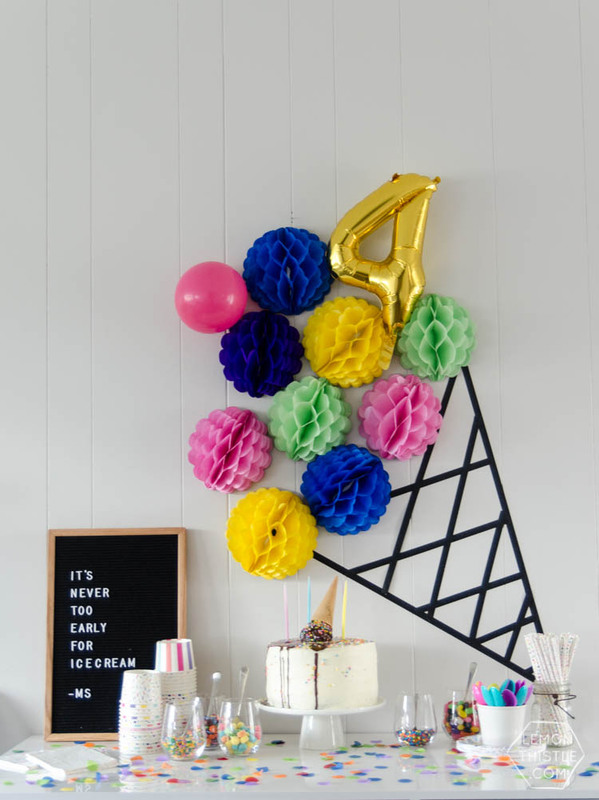 When I was ordering the honeycombs for the backdrop, I found Oriental Trading has a whole line of Ice Cream Party supplies too if you’re looking! 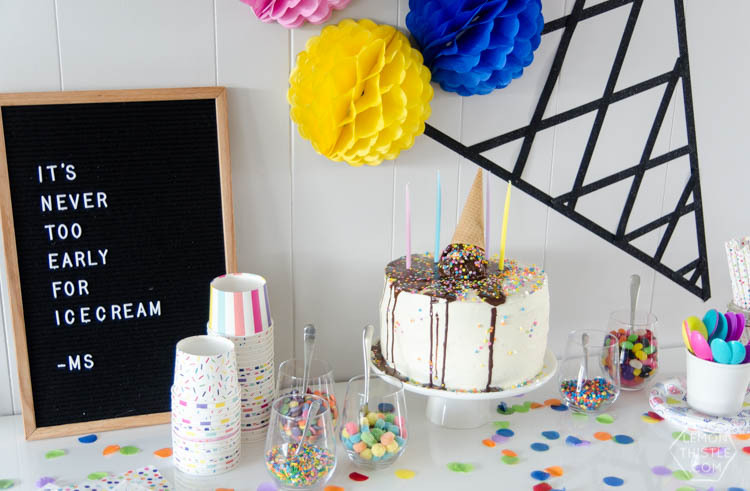 We put the colourful candies and sprinkles for the sundaes in stemless wine glasses (it’s what we have) for more colour, a mix of colourful spoons from the dollar store and large tissue confetti from Michaels to finish off the table. Which is actually my desk, I just cleared my computer off of it for the party. That cake is straight from Pinterest. I couldn’t even decide where to source it from because so many people have made them… It was fun to create and I actually made it from scratch *box… who are we kidding* instead of hacking a grocery bakery cake. Okay… on to the GIANT ICE CREAM CONE. How could you ignore that!? 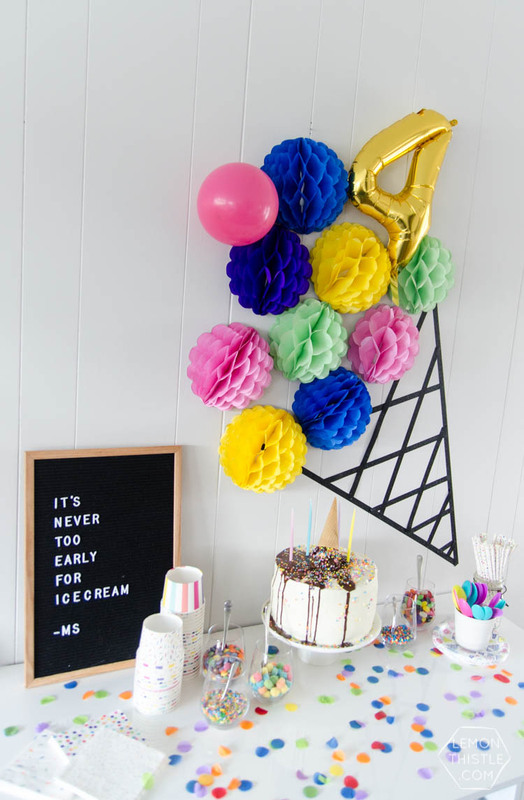 Those tissue party balls are one of my favourite party decor supplies. I have used them SO MANY TIMES. I get them from Oriental Trading and for this backdrop, instead of assembling them, I taped them half open onto the wall (tape loops). We used a balloon for the cherry on top of the cone and found this little 4 balloon at target too that the kids thought was fun in the cone. 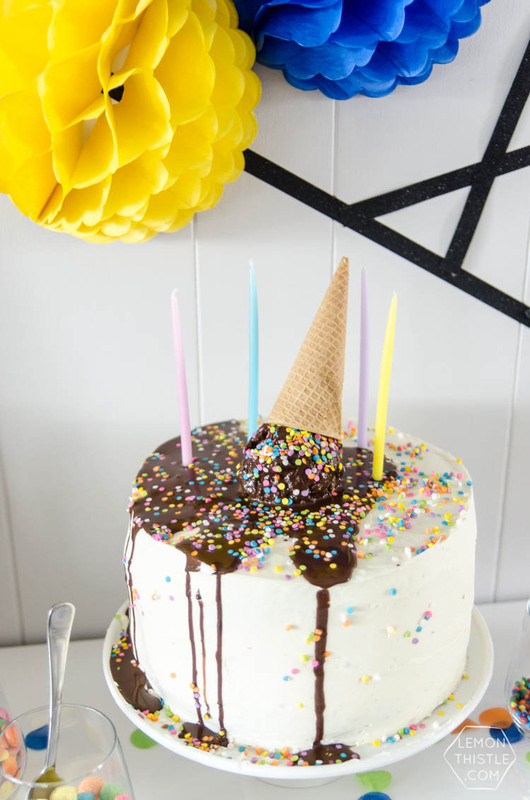 The cone itself is made with black glitter washi tape. This roll is from Cricut. I’m not sure how much of a tutorial I can give for this- I just put the tape into a V, added the crosses and then played with the tissue balls until I was happy with the balance of colours. I moved them around a lot until I was happy with it. I hope you enjoyed the party decor! 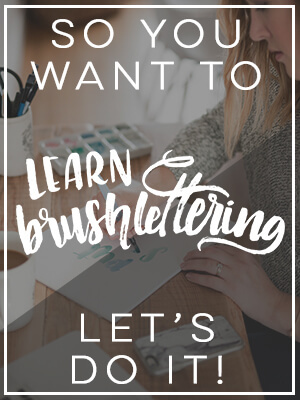 Let me know if you had any questions. I had so much fun decorating this for the kids. I’ll be back in a week or so to share the party bags activity. Those are probably my fave part of the whole party! Hi! 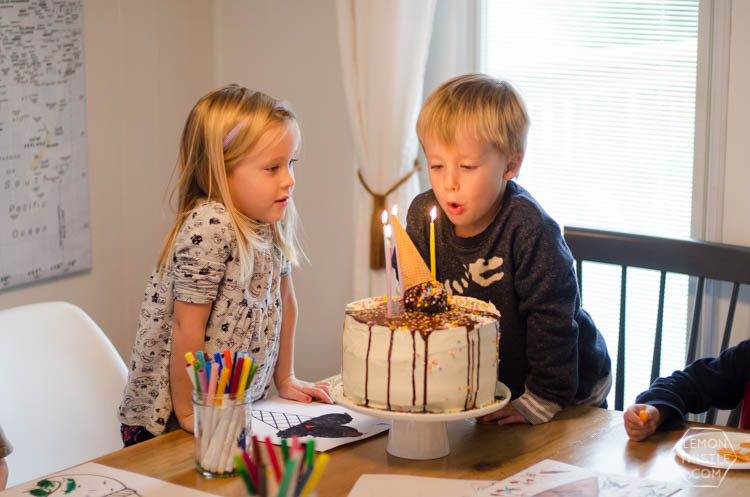 What an amazing birthday party you planned for you kids! 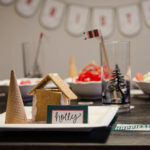 I am planning a joint party for my son and daughter and LOVE your ice cream theme! My kids also love ice cream and it’s the only dessert my daughter eats. What size honeycombs did you use? There are so many sizes on oriental trading!